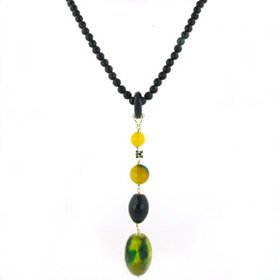 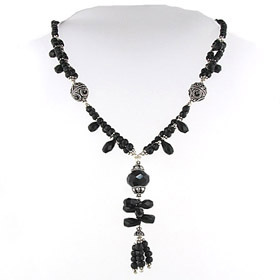 Here is a collection of black onyx necklaces showing the versatility of this popular semi-precious gemstone. 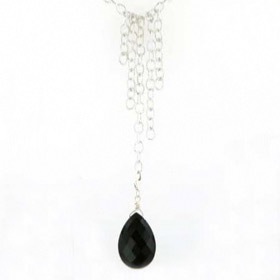 It can be smooth and polished in cabochon form or faceted to create a glistening surface. 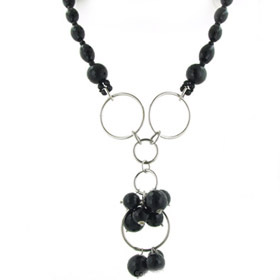 Whether it's a black onyx pendant necklace, black onyx bead necklace or statement black onyx necklace you're looking for, we have the one for you. 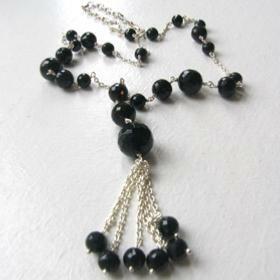 Free delivery anywhere in the UK on your silver black onyx necklace. 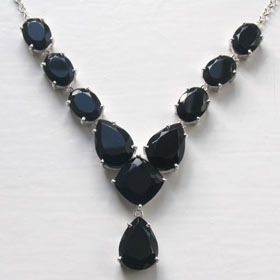 Black onyx looks perfect set into sterling silver - smart and elegant.